Inkscape is a vector-based drawing program, like CorelDrawÂ® or Adobe IllustratorÂ® from the proprietary software world, and Sketch or Karbon14 from the free software world. It is free software, distributed under the terms of the Gnu General Public License, Version 2. Inkscape uses W3C SVG as its native file format. It is therefore a very useful tool for web designers and as an interchange format for desktop publishing. It has a relatively modern display engine, giving you finely antialiased display, alpha transparencies, vector fonts and so on. 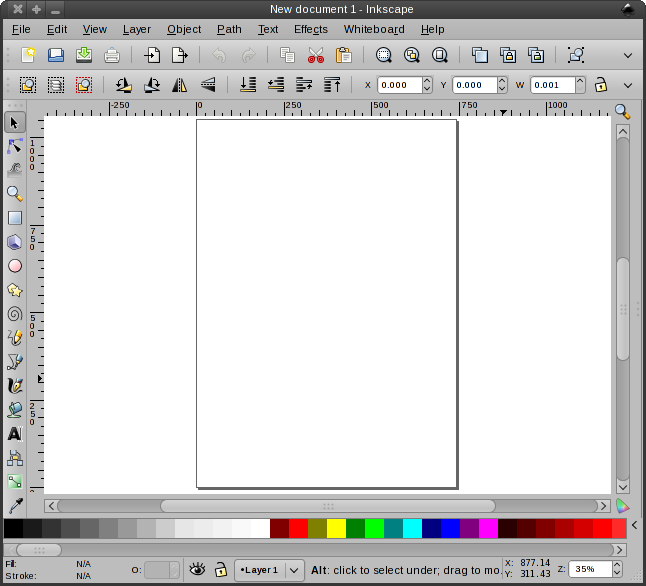 Inkscape is written in C and C++, using the Gtk+ toolkit and optionally some Gnome libraries. (note): articles submitted by users, possibly add some promote/demote mechanism .. or just sort by popularity. Copyright Â© 2007 Red Hat, Inc. and others. All Rights Reserved. Please send any comments or corrections to the websites team.